AEA campus – July 22-26 and August 12-16. These camps will include German (PreK – 6th grade only), reading, math, art, athletics and features Acting with a professional acting coach (July only) and leadership with Michael Clark for Teens & Tweens, and Art with Mrs. Heinzelmann (August only). 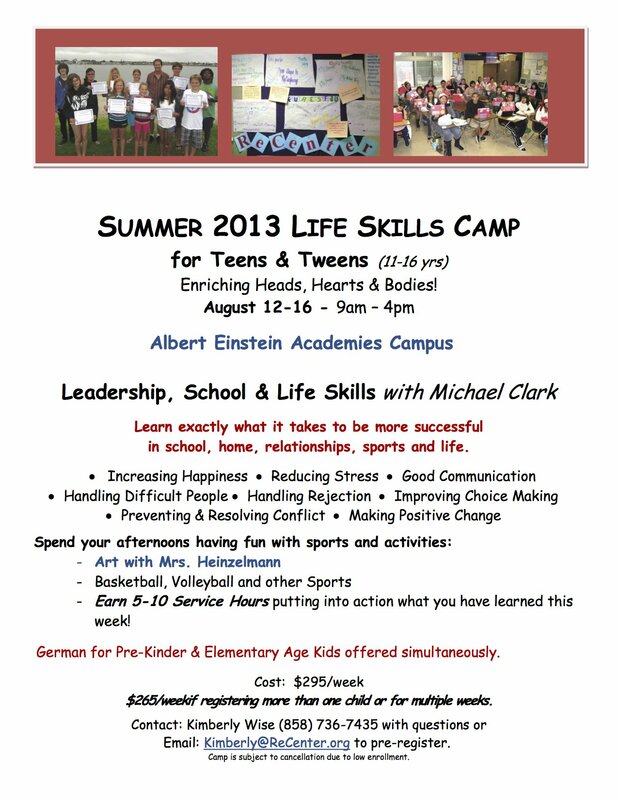 Kroc Center– Aug 19-23. These camps will include German, reading, math, ceramics, swimming, skateboarding, piano, kickball, basketball, volleyball and leadership for K-6th grade.